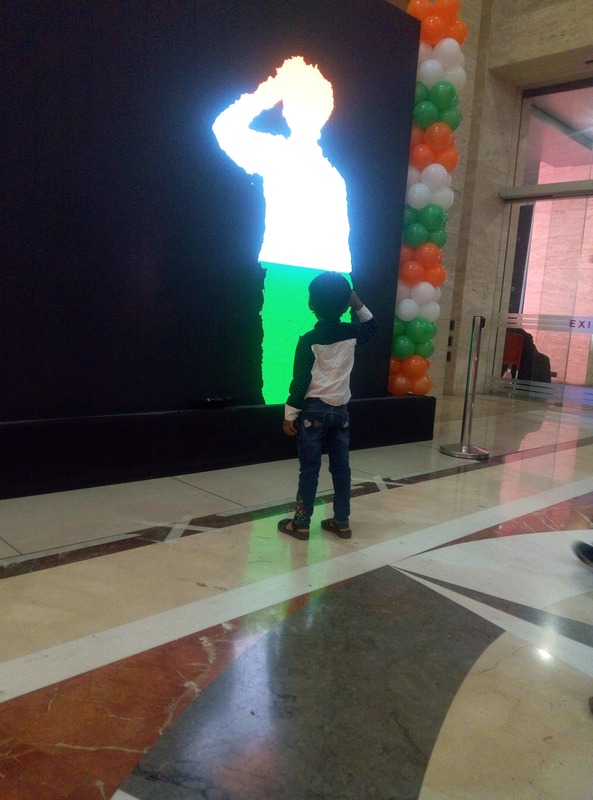 This post presents a commissioned public installation on the occasion of Republic Day. We worked a creating an abstract digital reflection of the visitors to evoke feeling of togetherness. We tried to understand the work in terms of a popular saying about India, “Unity in Diversity”. 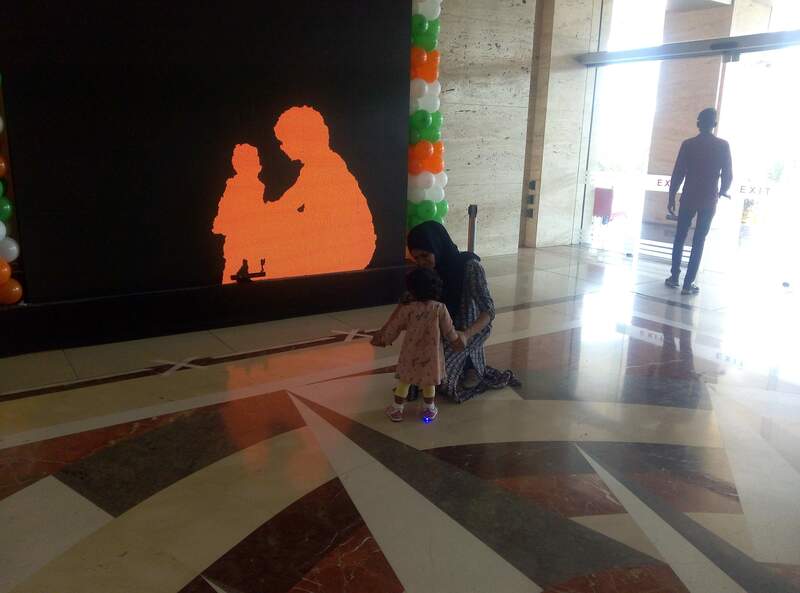 We aimed at exhibiting concepts that show how we as Indians, accommodate our diversity and stay united. A fundamental view was taken as it presents the visitor with an idea that essentially everyone is same and differences are ,as Harari says, fictional. Hence, a reflection was thought in terms of a shape and a structure. We used a Kinect sensor with OpenNI to implement this project. The structure metaphor was chosen to show abstract animated representations of self. 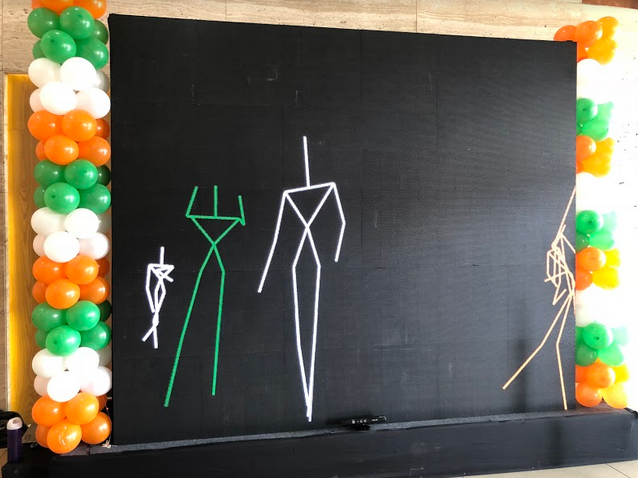 These were inspired from human forms in the Warli art style. 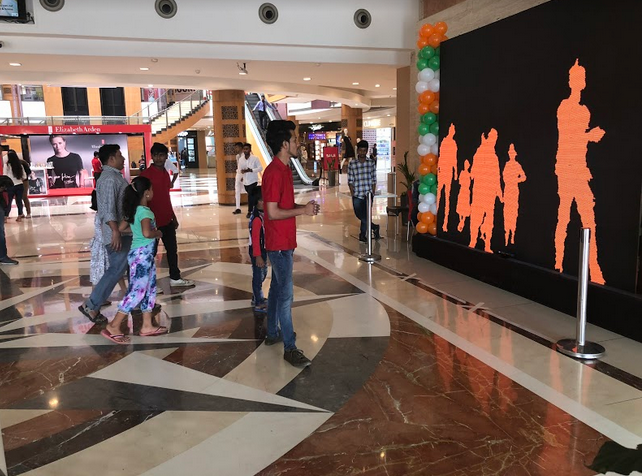 The visitors would walk in front of the screen and notice their Warli representation. The forms react to the visitors motion. They are colored in the Indian tri-color.